Ameloblastoma is a rare, benign, tumor of the bone that can occur in the lower or upper jaw bone. 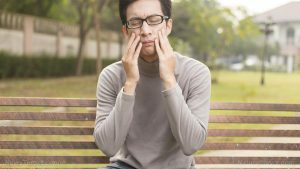 This tumor commonly occurs around the position of the third molar tooth or wisdom tooth, but it occurs most frequently in the lower jaw bone or mandible, with about 80 percent of reported ameloblastomas occurring in that part. Meanwhile, the remaining 20 percent of cases occur in the upper jaw bone or maxilla, or occur in both the lower and upper jaw bone. Although ameloblastomas are non-cancerous and slow-growing tumors, there will be times when they can become aggressive and affect tissues around the jaw area, such as the sinuses, eye sockets, nerves, and blood vessels. The cause of ameloblastoma is unknown, although it may include injury to the mouth or jaw, infections of the teeth or gums, or inflammation of these same area. Infections because of viruses or lack of protein or mineral in an individual’s diet are also suspected of causing the development of these tumors. Other risk factors include poor oral hygiene and disregard to any swelling in the jaw. Ameloblastoma typically occurs in adults, who are in their 40s and 50s. This condition is also known as mandibular ameloblastoma, maxillary ameloblastoma, and odontogenic tumor. It was formerly known as adamantinoma, but the term is considered inaccurate and is not used anymore. The known side effects of ameloblastoma may occur over a short period of time or for six months or more. An ameloblastoma is accompanied by a sharp or dull pain at the site of the tumor or swelling and/or redness at the tumor site. Other side effects of ameloblastoma include increased pain with activity or lifting, limping, and decreased movement of the affected limb. According to an article published on the website DoveMed.com, it can also be accompanied by mouth sores, gum disease, loose teeth, painless swelling, facial deformity, or if dentures or bridges do not fit anymore. In addition, breathing difficulty and difficulty in speaking can occur if the tumor grows larger. The body systems harmed by ameloblastoma include the digestive, respiratory, and skeletal systems. There is no information on what foods or nutrients can prevent ameloblastoma, but there are fruits and nutrients that can prevent cancer or reduce the growth of tumors. These include wine, cruciferous vegetables like cabbage, broccoli, kale, and collards, green tea, vitamin D, folate, dark green vegetables, ginger, turmeric, beans, lentils, chocolate, and berries. The treatment for this type of tumor may involve surgeries. Surgery is the only effective method for removing the excess tissue growth, while a wide surgical excision is often needed. In most cases, a part of the bone beneath the growth must also be removed. Furthermore, after the removal of the tumor, facial reconstructive surgeries may be needed. Ameloblastoma is a rare, benign, tumor of the bone that can occur in the lower or upper jaw bone. Ameloblastoma can be accompanied by a sharp or dull pain at the site of the tumor or swelling and/or redness at the tumor site. Ameloblastoma may also cause increased pain with activity or lifting, limping, and reduced movement of the affected limb. Ameloblastoma may also be accompanied by mouth sores, gum disease, loose teeth, painless swelling, facial deformity, or if dentures or bridges do not fit anymore. Ameloblastoma may also cause difficulty in breathing and in speaking if the tumor grows bigger. Ameloblastoma can be treated through surgeries.